Choosing to adopt your next pet is a GRRReat choice! There are thousands of available pets on adoption websites, and many pet rescues offer specific breeds. Don't forget to check your local Animal Control facility. Many of the pets at animal control have a very limited amount of time to find a fur-ever home. When considering a new pet, do some research to choose one that fits your lifestyle. And don't forget about the seniors! Unlike puppies, senior pets rarely come with the challenges of potty training, are often past the chewing stage and don't normally suffer from separation anxiety. Seniors are generally settled, calm, and forever grateful. Considering a pet? Consider a senior! 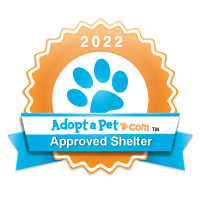 Most private rescues utilize a network of foster families who welcome a temporary pet into their home while a permanent home is found. The foster family is responsible for socializing the pet, tending to their medical needs, and showering the new pet with love, guidance, and sometimes training. Most often, rescues absorb all costs (except food) for the pet while in foster care. If you're considering a pet, but are unsure about making a long-term commitment, consider fostering. It gives you the opportunity to interact with, and care for a pet before committing for the life of the pet. And the one thing all rescues need more than anything is fosters! Please contact us today if you are interested in fostering a pet. We can help you find a reputable & responsible rescue to partner with. Content copyright . catniptrails.com. All rights reserved.